The three ‘lenses’ I was given were Aesthetics, Trends and Game Art. I thought within this blog post I would talk about these in greater detail so I can implement them within my Timeline giving a more distinctive project. One of the trends I have noticed within gaming is the use of 3d technology. In 1973 there was a title named Maze War and could be considered one of the first ever FPS games. The game play was simple, the individual would simply walk around a maze and if seen by another player who is displayed as an eyeball, the option to shoot them would be available so you would gain points from shooting your opponent. Aesthetically this was good as during 1973 the only real graphics that were available were overlays for monitors or single moving dots. Following up to this another 3d title was released called Spasim which was an MMOFPS (Massively multiplayer online first person shooter) which was released in 1974 by Jim Bowery. This game was a 32 player space simulation game which was played on the PLATO computer system.. It has also been called the first MMOFPS 3D game. In 1983 the game I,Robot was created by Dave Theurer for the Atari 2600. 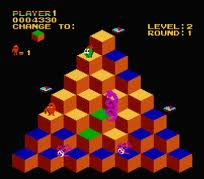 It is known for being the first ever commercial game to be used 3d polygon graphics and also featured flat shading. Flat shading is a technique that allows each polygon to be shaded a particular shade when taking into account the direction of the light source. 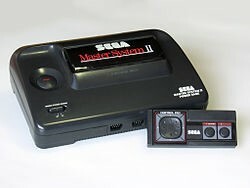 Some other systems that allowed flat shading were the Namco System 21 and the Sega Model 1. On a side note, it was also known to be the first to offer camera control options. Skipping on a bit, the next title I want to discuss is DOOM. This game was released in 1993 and was seen at the time as life changing as it had the most amazing 3d graphics at the time. It is also regarded as one of the most influential titles within the games industry for being so popular as a FPS in its genre. The graphics for this game at the time were regarded as realistic after adding height differences, non-perpendicular walls and had full texture mapping, with various degrees of light to give diversity to each part of the game. Looking today at the capabilities of 3d, it is safe to say we have come rather far. We use 3d all the time for example Nintendo’s 3DS which is a hand held console that can be taken around by the user and accessible at any time. It uses autostereoscopic 3d to produce a 3d like effect on the screen which allows the user to play in 3d without the use of glasses. We have the Playstation Vita, Playstaion 4, Xbox One and the Wii U. It is has become the normality for consoles to use or atleast offer 3d capabilities and due to technology forever advancing we have only seen the improvement of titles such as Prince of Persia dating from 1989 to its current title which was released in 2013. 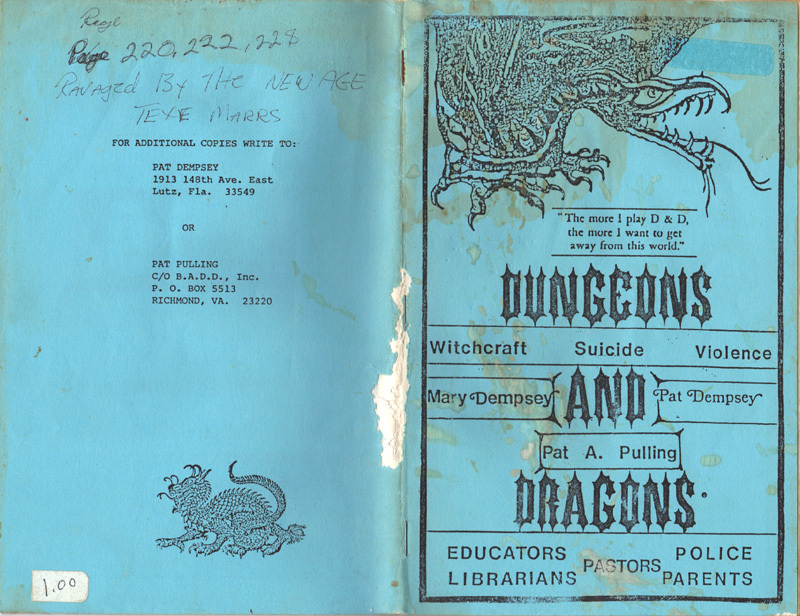 Following on from my previous post, this post is a quick run through of the 60’s in order to understand what happened in the early years of game history. This is a follow up of my 50’s post. 1962 – The invention of ‘Spacewar!’ by Steve Russell. 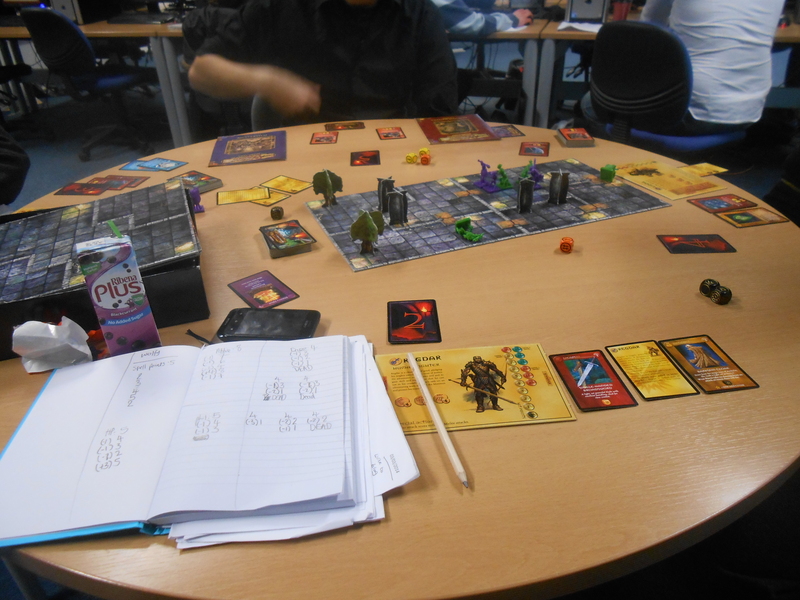 This game was a 2 player game which allowed the user to take control of a space ship, and the aim of the game is to destroy your opponent before they destroy you. 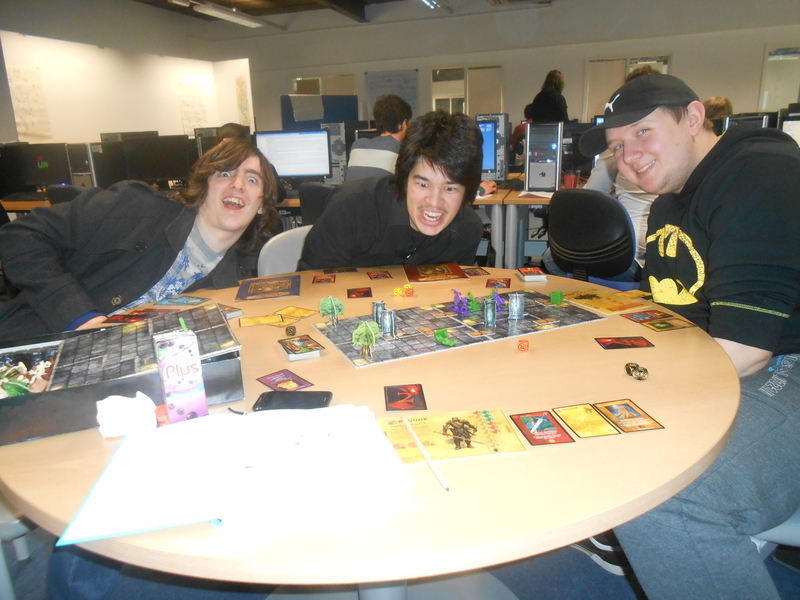 The odds of being able to play this game were slim as it was only accessible at universities due to the computers being too expensive to purchase. Nearly 9 years after this, Nolan Bushnell took the idea, altered it (named computer space) and went on to create one of the world’s first coin operated game machines which gave you 90 seconds of play for a quarter. 1966 – Ralph Baer comes up with the idea for the worlds first at home game console. He wanted to create a piece of hardware which allowed users to be able to play games on their televisions. He thought games such as action games, board games and sports games would be playable on his device. The first game to be played was a sample game called ‘Corndog’ which was the first game to be displayed on a television. 1967 – The very first prototype of the ‘Brown Box’ was created which allowed users to play games such as Tennis. 1968 – Ralph Baer patents his idea and releases his video game system. 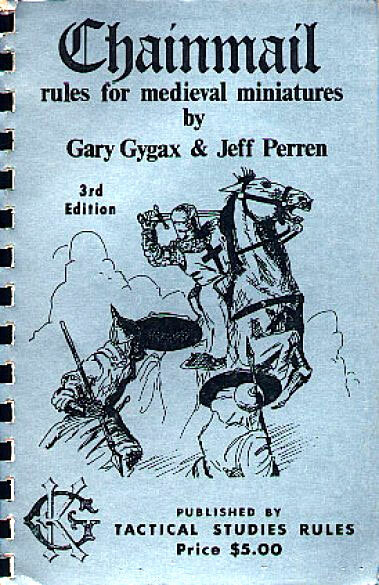 This blog post is a general overview of the history of gaming, in which I will pay particular attention to the key points in history. 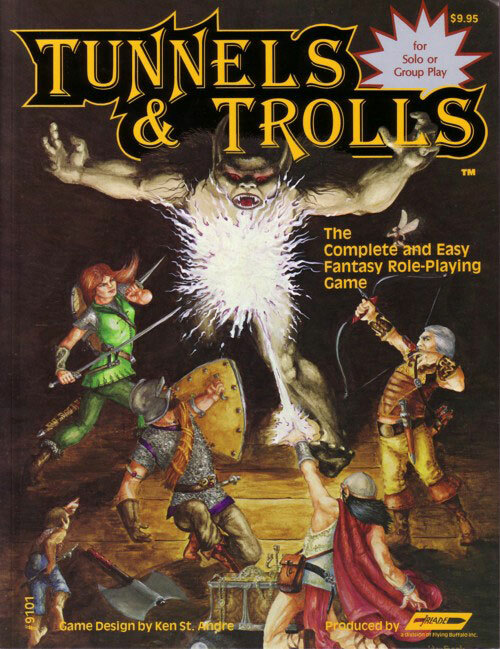 Although brief, this will be supported with visuals in order for you to see the build up of gaming before the point of my timeline project (My project is based around the 70’s, 80’s and 90’s). The reason I have done this is so that you can have a reasonable understanding of the key changes in games. 1947 – A patent is filed by Thomas T. Goldsmith and Estle Ray Mann for a “Cathode rat tube amusement device”. The game created on this machine allowed the user to fire a gun at a target. Despite this invention being so iconic, it was never sold or marketed to the public. The first game for this was a missile simulation game which had been inspired by the war. 1952 – A. S. Douglass created the well known Naughts and Crosses (OXO) game on the Cambridge EDSAC Computer as part of his dissertation for Cambridge University. It never gained the success as other games because it was unplayable outside of the university as nobody owned the machine so you had to visit the university to play it. 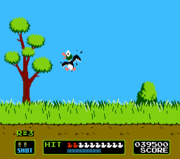 This game was considered the first to use graphics. 1957 – Alex Bernstein, an IBM Employee, wrote the first computer chess program which allowed the computer to think four moves ahead. It was created on the last ever vacuum tube computers and took up to 8 minutes to make a move. The 90’s was roughly around the time when we saw the fifth gen era which consisted of 32bit and 64bit graphics but also saw the introduction to the idea of 3D graphics with titles such as Sonic 3D Blast and Super Mario 64. The element of 3D gave gaming a new alternative feel to what we were used to and allowed us to become more immersed then we previously thought was possible. From a personal experience also, the gameboy was my first game console as a child so this era was rememberable for me, although I do recall several memories with my brother playing the N64, PS1 and the Dreamcast, so from my own personal experience this was one of my most rememberable eras as it was the first time I had played Pokémon and became immersed in something. The 80’s was also a time when we saw mascots being used by companies in order to link their product with the company. For example Nintendo using Mario and Sega using Sonic, we relate these characters to their company so that they become rememberable. I personally think that the 90’s gave us more aesthetically pleasing characters due to enhanced technology allowing us to create more defined, diverse characters with better graphics in order to create better visually. This era introduced new factor to games design which was the invention of a scrolling background which allowed games to become longer and flow a lot better. Also during this era, sprites became more defined and began to take better form then ever before. 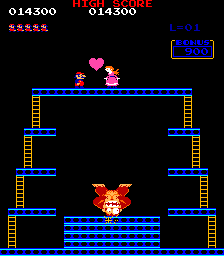 We saw hit titles such as Donkey Kong, Metroid and Megaman 2. Later on during the 80’s we saw consoles entering the fourth gen which introduced 16-bit consoles which effected graphics dramatically as it allowed additional colours to be added to create more depth. I also believe that during the 80’s we began to see better intros, outros and title screens due to the graphical enhancement. Overall, the 80’s produced some aesthetically pleasing games such as California Games (1987) and Manic Mansion (1987); and with technology changing we began to experiment more with titles such as Dragon’s Lair (1983). While doing my research I stumbled upon this really nice video which shows you briefly some games during the 80’s and their consoles. Later on during the 80’s we saw consoles entering the fourth gen which introduced 16-bit consoles which effected graphics dramatically as it allowed additional colours to be added to create more depth. 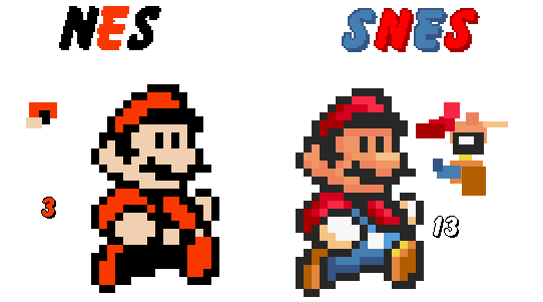 Looking at the comparison to the NES and the SNES graphics, you can see the advantages of having additional colour added as it gives the character more depth and just generally makes the game look miles better. 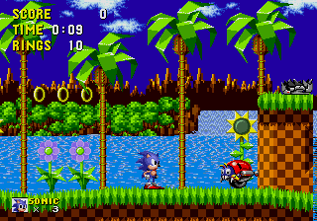 This sonic game was the first installment of the sonic series and looks amazing with its scrolling backgrounds and better visuals. What I found interesting during my research is that there was in fact 31 console names I discovered during the 70’s alone while in our era we only hear about 2-3 released consoles being released and being put on the market. The Magnavox odyssey was referred to as ‘the brown box’ during its prototyping stage and was created by Ralph Baer in 1968 but was retailed in 1972. 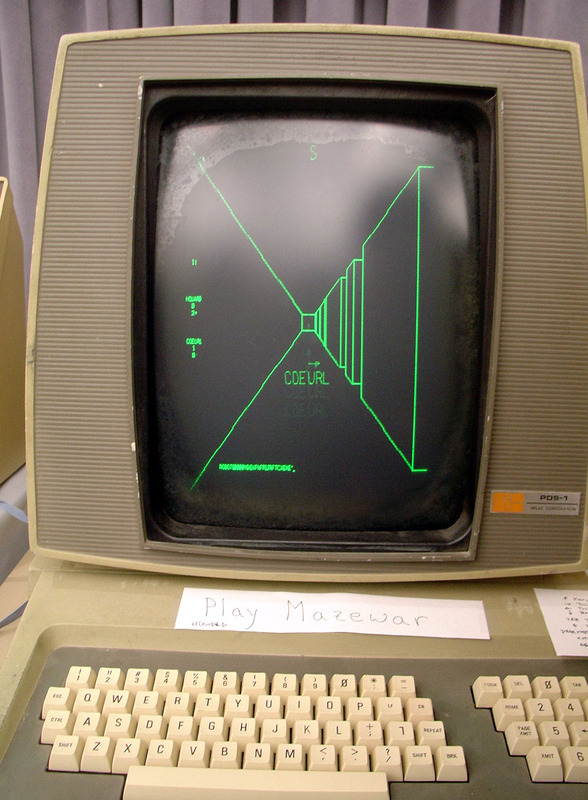 The Magnavox odyssey had roughly around 30 games and due to graphic limitations, overlays were placed over the players TV set in order to play particular games such as baseball or cat and mouse. These overlays were provided with the console purchase. The console produced two white blocks which both players would use to play various games using particular cartridges and overlays. 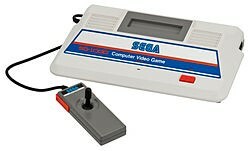 This was the first early example of an 8 bit console. 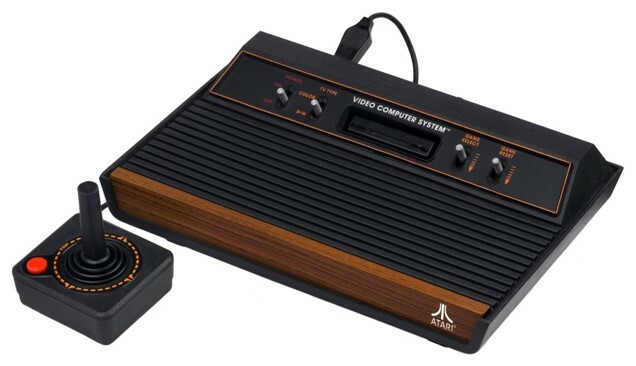 The Atari was a second gen console which became available in 1977, it was a 8 bit console which the video is handled by the 1.19MHz 6607 CPU with 128 bytes of RAM. IGN claimed the Atari 2600 to be behind both the first video game boom but also the video game crash of 1983. 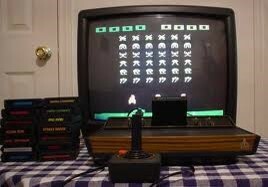 The reason for this is because the console had some amazing titles such as Jungle hunt, space invaders and breakout. The reason it was seen to have been behind the video game crash was due to Atari putting no limitations on who could develop games for its consoles and how many games could be distributed which ended up with the market being packed with poorly made games such as Pac Man for the Atari 2600 for numerous reasons for example its lack of consideration to colour scheme which confused players as the ghosts would flicker and blend into the background. Due to limitations at the current time, the graphical designs of the games could only be basic in comparison to what is possible now. 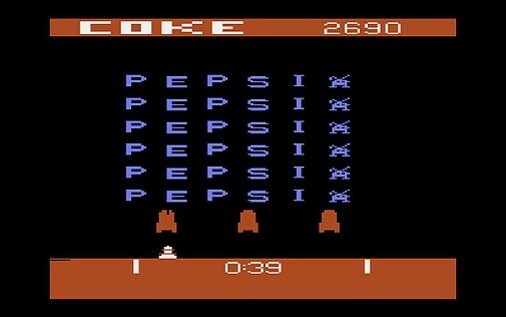 If we take a look at the pepsi invaders, this was a modification of the original space invaders game and was commissioned to be made for cocacola in 1983 for their sales convention. I found this interesting as it was such a rip from the original space invaders and goes to show what was being done with the atari 2600.